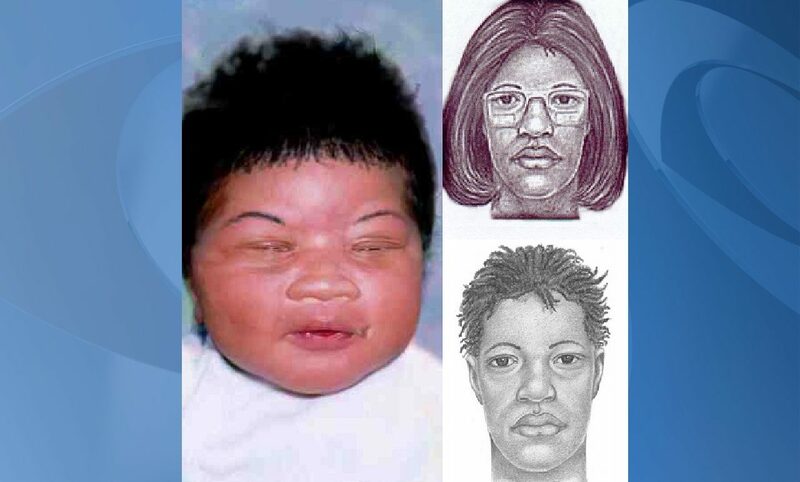 JACKSONVILLE, Fla (AP) – Stolen hours after her birth in a Florida hospital 18 years ago, a young woman who came to suspect she didn’t belong with the people who raised her has been found in South Carolina, where police charged the woman she long believed was her mother with kidnapping. DNA analysis identified the young woman, who now knows her birth name: Kamiyah Mobley, Jacksonville Sheriff Mike Williams said Friday at a news conference. He said she is in good health, but understandably overwhelmed. Police arrested Gloria Williams, 51, of Walterboro, South Carolina, at the home Mobley was living in and charged her with kidnapping and interference with custody. Mobley was only eight hours old when she was taken by a woman posing as a nurse from her young mother at University Medical Center in 1998. A massive search ensued, with helicopters circling the hospital and the city on high alert, and thousands of tips came in over the years, but authorities apparently had no clue where she was. All that time, police said, she was being raised under a different name in Walterboro. Then, some months ago, the young woman “had an inclination” that she may have been kidnapped, the sheriff said. The National Center for Missing and Exploited Children reached out to the cold case detectives at the sheriff’s office, and Mobley provided a swab of her cheek for DNA analysis that proved the match, the sheriff said. The young woman’s birth family is rejoicing, but the young woman has been provided with counseling. How and when she’ll reconnect with them is up to her. Her mother, Shanara Mobley, told the Florida Times-Union newspaper on the 10th Anniversary of the kidnapping that on every one of Kamiyah’s birthdays, she wrapped a piece of birthday cake in foil. “It’s stressful to wake up every day, knowing that your child is out there and you have no way to reach her or talk to her,” Mobley told the paper in 2008. The sheriff said he doesn’t know when Kamiyah will reach out to her birth family. She’s only beginning a process of coming to terms with the fact that her true identity was stolen from her.